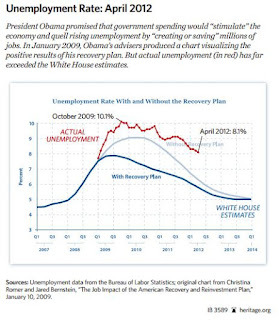 Young, Hip and Conservative: a skeptical blog: What recovery were you watching? What recovery were you watching? I've been looking through some of President Obama's various speeches and interviews, but I can't seem to find the one where he said the country is too damaged for him to save, but he'll keep it from getting worse. I hear the president's supporters speak about this concept all the time when they defend his first three years in office, but I can only find candidate Obama promising swift changes and improvements upon his election. They have even gone so far lately as to say the 2012 economy shows his policies have been a success. Really? What nation are they talking about. In all fairness, the president's role in determining the rate the economy chugs along is minor. 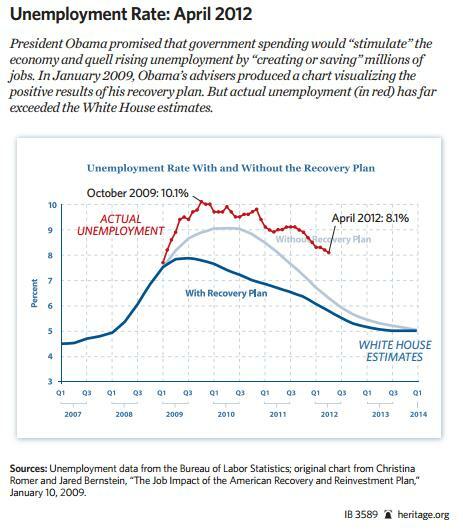 President Obama did not ruin the economy, nor has he actively sabotaged it's recovery. But his defenders commit a fallacy when they point to any reduction in unemployment levels as proof that his policies work. I am not saying his boast means voters are duty-bound to make his prophecy come true. I am simply showing that his policies were supposed to make big gains that never materialized. There is a big Post Hoc fallacy in attributing the gains the economy has made over the last year to the president's policies. I don't think the average person understands that economists believe without Keynesian stimulus, an economy will still slowly recover. The public's view seems to be that once it falters, it stays there until someone can fix it with policy changes. The economists' idea is that as people lose their jobs and buy less, raw materials will fall in price. They will be cheaper to purchase and you eventually get to a point (after a lot of misery) where they become cheap enough for people to start buying them and creating businesses. This is what solves recessions and depressions and the stimulus solution is a theoretical way to speed it up. I am not arguing that the natural suffering model is a superior choice among two workable options. As someone who spent two years on unemployment during this crisis, I know exactly how miserable and hopeless it felt. Instead, I am saying a natural recovery is what's chipping away at unemployment, and the presidents supporters are making fools of themselves for trying to credit him with these minor gains. It appears to me that the unemployment rate is unchanged, or worse. Unemployment numbers tend to be those receiving or filing for unemployment benefits, and don't take into account the massive number who stop getting benefits and still don't have a job. That was the result of the last .2% drop, what, last week? Perhaps it's just me, but having read almost everything Keynes published, it seem like his current supporters miss the concept of slowing down or stopping that debt spending. Also, based on his writings, tax cuts and government spending were for most practical purposes the same. The validity of that idea can be argued about, but that is another part of Keynesian theory that seems to get lost.